The pilot landed the helicopter in Queenstown, apparently to buy a meal. 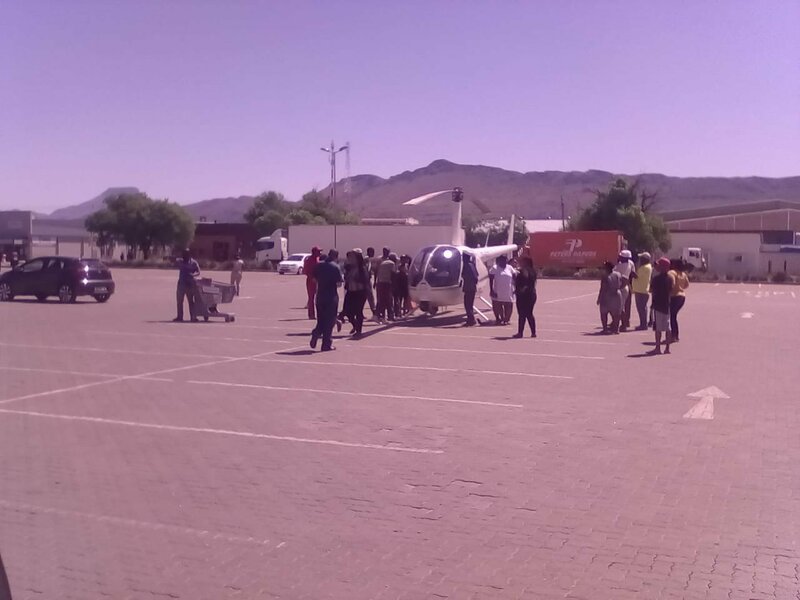 It is dubbed the “fly-through” after pictures went viral on social media last week and showed a pilot, landing at the SAPS helicopter at Komani Mall ealier this year. 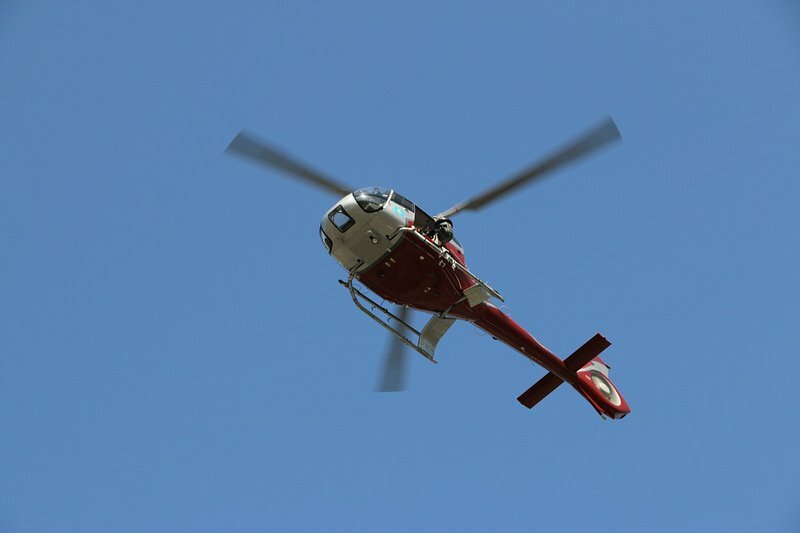 The unidentified man walked back to the chopper after getting his food and flew away. We wish we made this up! The National police spokesperson Brigadier Vishnu Naidoo confirmed they are investigating. Martin Bester, however, feels there might not be anything wrong with it. Breakfast with Martin Bester listener, Estelle Koorsten, shared a picture with Martin Bester of the chopper. Her husband, Leon, was an eyewitness to the helicopter landing.